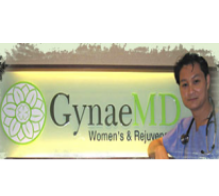 GynaeMD Women's & Rejuvenation Clinic, which is a widely popular clinic in Singapore, provides gynaecology, obstetrics, aesthetic services to its patients care under the supervision of Dr Christopher Ng (Gynaecologist, Obstetrician, Aesthetic Doctor). Dr Regina is recognized globally for her excellent skills in performing instrumental vaginal delivery (vacuum and forceps), caesarean delivery, antenatal and ultrasound scans. With a track record of successful recovery cases of patients, this clinic offers a solution that brings results.